We’ve all heard that expression at “Breakfast is the most important meal of the day.” While that is true, it can be the easiest meal to forget or cheat on. It can be difficult creating time for yourself to prepare a healthy meal in the morning before heading to the office. We’re offering 7 super quick and healthy breakfast options that you can make in about the same amount of time it takes for you to find your keys. From oatmeal to eggs to granola, we’ve got a lot of healthy breakfasts for your hectic morning. 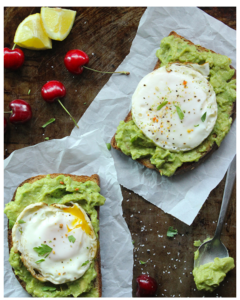 Upgrade the simple toast breakfast by adding avocados and egg! Upgrade your morning with an easy, healthy, yet filling breakfast. Top two lightly toasted slices of whole-grain bread with smashed avocado and a sprinkling of salt and pepper. Layer on two sunny-side up eggs for a healthy dose of protein. Avocado is rich with Vitamin K, C, B5, B6, E, Folate, and Potassium – this is an abundance of nutrients to help kick-start your day. Added with the protein of eggs on top of toast, or your alternative to bread, this makes for a great and easy breakfast. One of the easiest, healthiest, and tastiest breakfasts out there is a yogurt parfait. The best part? It can be made with any toppings you like. Just simply create a layered pattern of yogurt and fruit.Fruits naturally have sugars, so to balance it out, go with a plain Greek yogurt with little sugar. Also, find a granola that has an ingredient list you can read (although we recommend that with most foods). Try eating a parfait on the go to work by making it in a mason jar. It’s perfect for eating on the go and it can be refrigerated easily. Can’t make breakfast at home? Oatmeal is a great snack and breakfast to keep at work. All you need is a microwave or hot water at their disposal. They make instant steal-cut rolled oats that you can easily keep in a drawer for days you don’t have time to make breakfast. Mix in cinnamon, fruit, raisins or nuts to add more flavor. This is delicious at home or as your back-up at work. 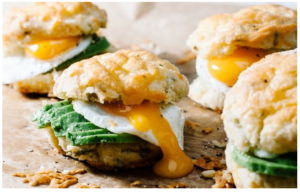 Try making Mini Biscuit Sandwiches for a quick and healthy breakfast meal. If you have a little more time in the morning, this is well worth your effort. To save time, you can buy English muffins or pre-make biscuits. Fill your English muffins or biscuits with avocado, eggs, jelly, ham, cheese, etc. It’s the perfect size to carry and to make for a moderate portion. After, you’ll wonder why you ever used to skip breakfast. Load up your taquitos with sausage, cheese, avocado, and sun-dried tomatoes. You can either make one at a time each morning or make a big batch. If you do end up making a large amount, the best part about these tasty taquitos, are that they are freezer friendly. The next time you are running late and don’t have time to make a breakfast, grab one of these on your way out. You can warm up the taquito at the office. 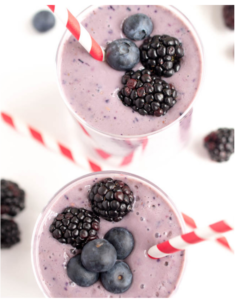 Enjoy this berry and yogurt smoothie for a warm summer morning. Cookies for breakfast? Absolutely. This breakfast recipe is the best for people who aren’t breakfast fans and who love chocolate. Thinly slice your favorite type of apples. Then spread peanut butter on top of the apple slice. Lastly, sprinkle mini chocolate chips, granola, and or your favorite type of nuts. It’s a perfect combination of crunchy, salty and sweet. Smoothies are a great quick breakfast option. However, it can be easy to make a smoothie that is high in sugar. Here is a simple and delicious smoothie option. Blend frozen fruit (banana and berries work well) with plain Greek yogurt and a liquid of your choice (milk, juice, coconut water -whatever you like). Freeze overnight and blend it in the morning. No matter what you pick for breakfast, make sure it is something that works for you and your health goals. There are those who might want to eat more calories int he morning or those who want to spread it throughout the day. Whatever works for you, make sure you have a plan or even a backup. 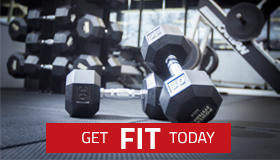 For more information about staying fit, contact us today. Do you have any suggestions for quick and healthy breakfast meals? Let us know!